Auxiliary University Programs’ national Branch Chief Jacob E. Thayer said he was "quite surprised and honored" to learn that he was recently named the 2014 Auxiliarist of the Year. "There are so many people around the Auxiliary doing so many great things, it's moving to realize what you do is making such a reverberating impact," Thayer said in an email. "To work in an organization that has such a great mission, saving lives, and the leaders' willingness to recognize such a young member shows the emphasis on people, and it's our people that make us strong, as a nation and as the Coast Guard." Thayer, who also serves as flotilla commander of Flotilla 75 in Austin, Texas, was commended for his “exemplary performance and spirit of service,” said RDML Paul F. Thomas, Assistant Commandant for Prevention Policy, in a news release announcing his award on July 17. From the flotilla level to the national, Thayer has been an inspired leader involved in many aspects of the Auxiliary. According to the release, as flotilla commander "he established clear strategic and tactical plans that guided the unit to improved recruiting, retention, and member services. Under his enthusiastic leadership, the flotillas membership and qualifications increased 25 percent." His experience working at the national level doesn't just include the great work he does for the AUP. "From June to August 2014, Mr. Thayer worked full-time at Coast Guard Headquarters in its Strategic Management Directorate as part of Project Evergreen," the release states. "He participated in roundtable discussions with senior officers, and assisted with coordination of many interviews and meetings. He represented the Auxiliary in discussions with several research groups and foreign entities, including the First Sea Lord of the United Kingdom. 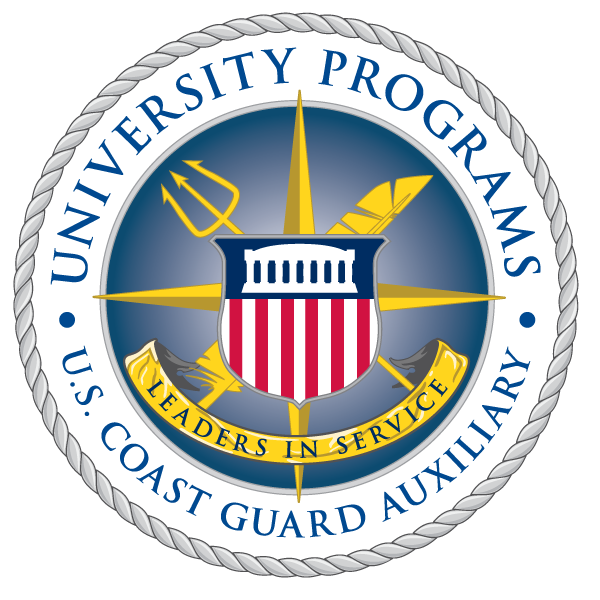 He concurrently led a project to provide the 7th District with research regarding future Cuban socio-political scenarios, and how they could potentially affect Coast Guard missions." "I've been fortunate because I've worked with great teams at all levels," Thayer said. "I've had fantastic mentors, such as (Director of Strategic Planning) Andrew Welch, who helped me understand how to think and act like a leader then motivate others to do the same. I've been able to work on long- and short term-projects, which provides the nearly instantaneous feedback and fulfillment, but also the greater satisfaction of seeing the results of conversations from years ago come to fruition." So, what's next for Thayer? "This is an exciting close to my chapter working with AUP and Flotilla Austin," Thayer said. "In early August, I'll be moving to Virginia to attend the Washington & Lee University School of Law. Once there, I'll be looking to transfer to a local flotilla. "I was also recently transferred to the new Program Management Division of the Strategic Planning Directorate. Once I get to my third year of law school, I intend to apply to the Direct Commission Lawyer program and serve in the Coast Guard full-time. I'm looking forward to many years ahead of working with the greatest federal agency and keep Americans safe on the waters." And then there's the ceremony. Thayer will be “formally recognized” as the nation’s top Auxiliarist at the Auxiliary National Convention in San Antonio, Texas, on Aug. 29.